I grew up listening to folk music and murder ballads, thanks to my parents. While other kids were glued to Casey Kasem on Sunday afternoons, I nodded along to The Kingston Trio or Joan Baez in the backseat of the car. I probably wasn’t old enough to appreciate Little Boxes, and that’s why I take the time to really listen to the stories told in folk music now that I’ve got some life experience under my belt. 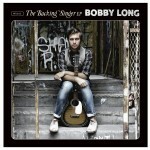 It’s this appreciation that pushes me toward Bobby Long’s music. The songs are timeless, first calling to mind yesterday’s war-torn England and then tomorrow’s broken heart. The words are honest, whether ardent in affection or dripping with disdain. This is the music I grew up with, even if I only heard the first tune almost four years ago. As you might imagine, Long names several of the world’s most respected singers and songwriters as his influences. “I learn by listening and watching. I’ve never had a teacher. You have to be a sponge; you have to be watching. I remember I was really into Jeff Buckley when I was younger. I still love him now, actually. There’s a video of him doing The Way Young Lovers Do in New York…a Van Morrison cover. I just watched his hands and picked up these weird chords, and these chords opened up, like, thirty hours of absolute fun for me.” If ever there were a direct quote to show Long’s dedication to learning, evolving, and working hard, all while giving the respect due to greats of past and present, this would be it. He needn’t worry he’ll be pinned down to one genre for the rest of his career. Long has already shown immense versatility, first singing the murder ballad The River Is Long and then the rock tune Devil Moon. He finds it hard to sum up his work in a few words, giving instead a timeline of sound. “I guess the first stuff I did was folk, and then it was slightly alternative, but it had Americana and roots stuff. And now it’s heading more down to rock and roll stuff. Somewhere in the middle of all that.” The evolution is easy to hear when listening from Point A to Point B, but it’s impossible to pull a single song down and call it the definitive turning point. The transition is seamless, with no bumps or awkward choices pushing his sound in a new direction. 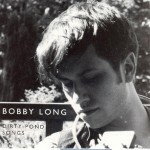 And nobody sounds like Bobby Long, either. 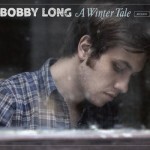 To learn more, you can visit Bobby Long’s website, where he shares tour dates and a new song every week. To purchase his albums, you can find him on Amazon and iTunes. If you visit his Facebook page, you can hear some of his latest songs before you buy. Jennifer, Really nice article. It really does capture his versatility. Onward and upward.